Novak Graphics Inc. has been established in Toronto, Ontario , Canada in 1981, as a printmaking studio and print publisher. International printmaking studio and Tao Hua Tan Art artist residence which emphasizes the importance of meaningful and multi-layered cultural exchange and immersion into another culture while exploring the link between the traditional and contemporary aspects. No limitations. Open to all regardless to medium, age, gender, nationality. 6 images of recent work, CV, artist statement is optional. Large shared studio and five private studios. Canvases and standard oil and acrylic paints supplied by the organizers. There are no fees. Invited or accepted artists have only to cover the cost their travel to Shanghai Pudong airport and back to their country. All the travel in China and rooms and board will be taken care by the organizers. The invited participants are free and independent in choosing the subject, style and technique of their work for their production during their stay on the location. However, they will be proposed to make one painting on canvas size 120 cm x 120 cm and two more works on canvas size 60 cm x 60 cm, destined for the permanent collection of the organiser´s future World Art Museum at The Peach Blossom Pool Arts and Holiday Riverside Resort, Tao Hua Tan, Anhui Province, China. All the canvases and oil and acrylic paints, as well as any special materials requested by the artists, will be provided free of charge by the organisers, who will also cover all the expenses for full board and lodging including visits to selected historic, nature and cultural sites. The invited artists should only pay the transportation costs from their city/country to Shanghai, China and back. The organisers will meet the artists at meeting points in Shanghai and transport them by high speed train to the resort. 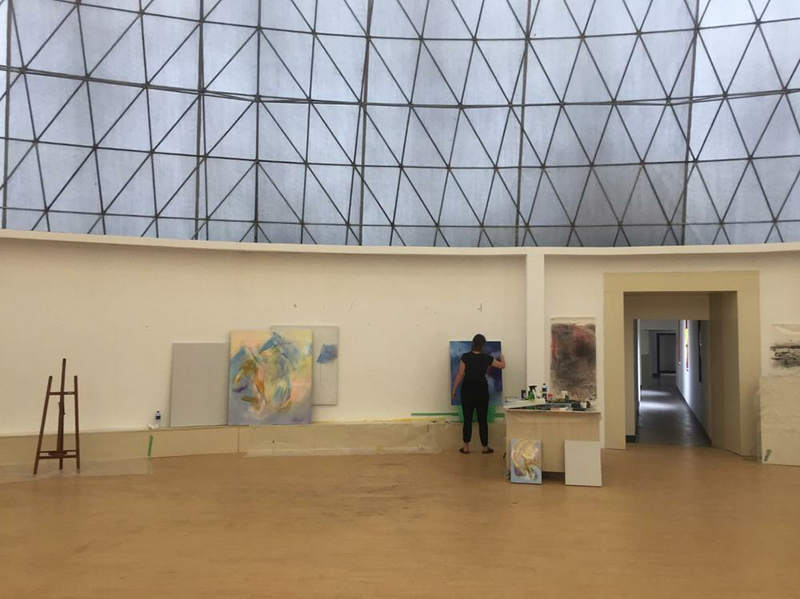 The residency will end with an exhibition of the works produced in Tao Hua Tan and an »open day« reception for the press, collectors, critics, gallerists and general public. The catalogue book of the residency will be produced by the organisers and 3 copies will be mailed to each of the participating artists. After the residency, the organisers will pay for the artists a high speed train fare to Shanghai. 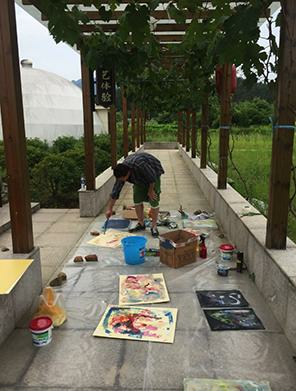 The international artists´ retreat and painting residence workshop will take place in Tao Hua Tan, Anhui Province, China, from October 10th thru October 25th, 2018. As decided by the organizers, about 40 artist from China, and from different countries of the world, will be invited to participate. The participating artists will be selected by the organizer´s curators.